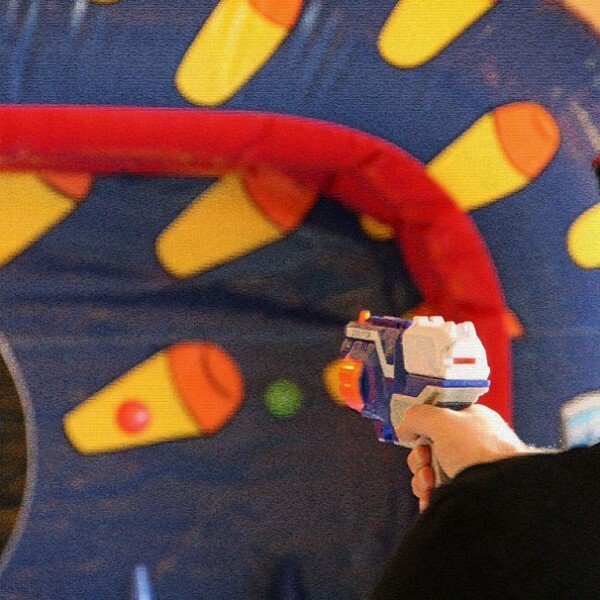 The Nerf wall has 6 cones that blow air upwards, the balls hover over the cones and become the targets. 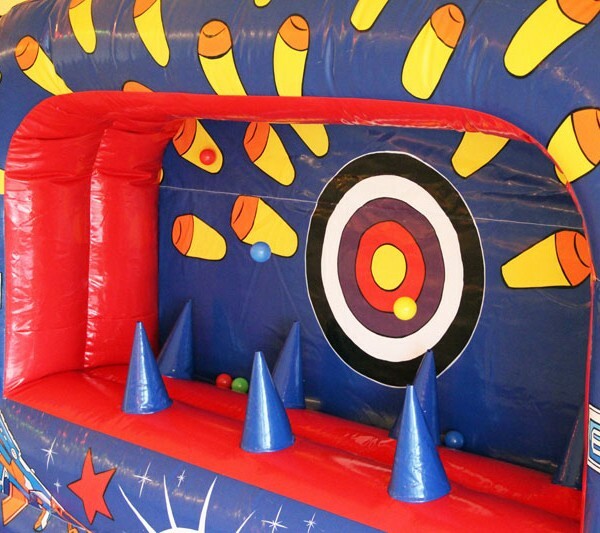 The height of the balls fluctuate slightly which would gives the gamer a moving target. 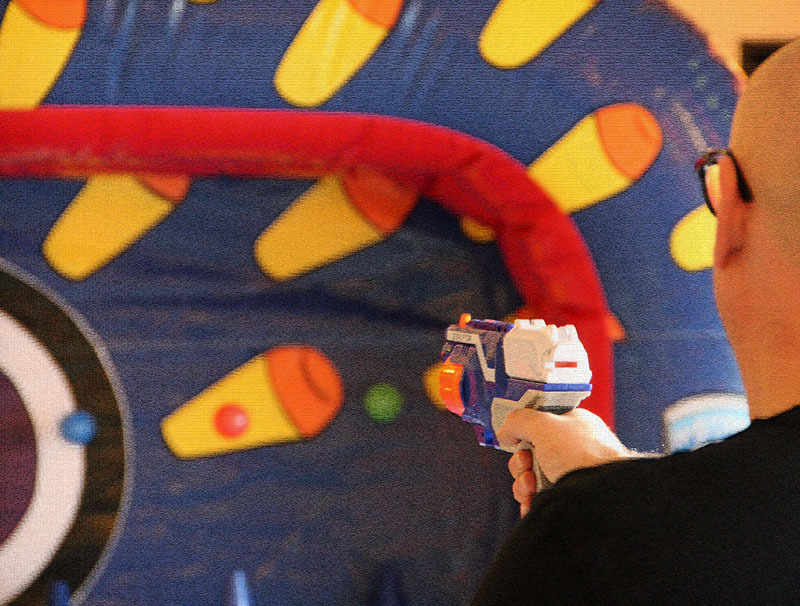 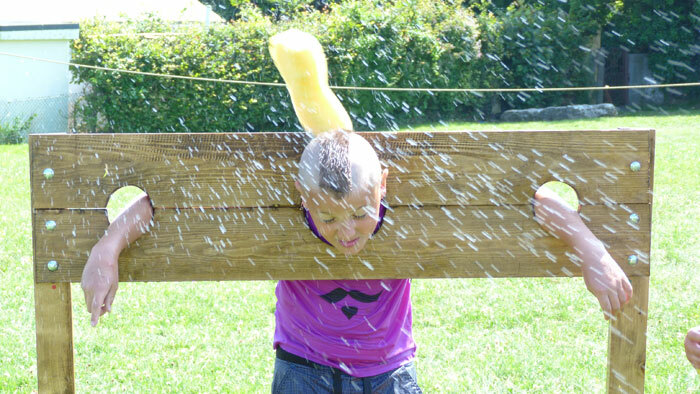 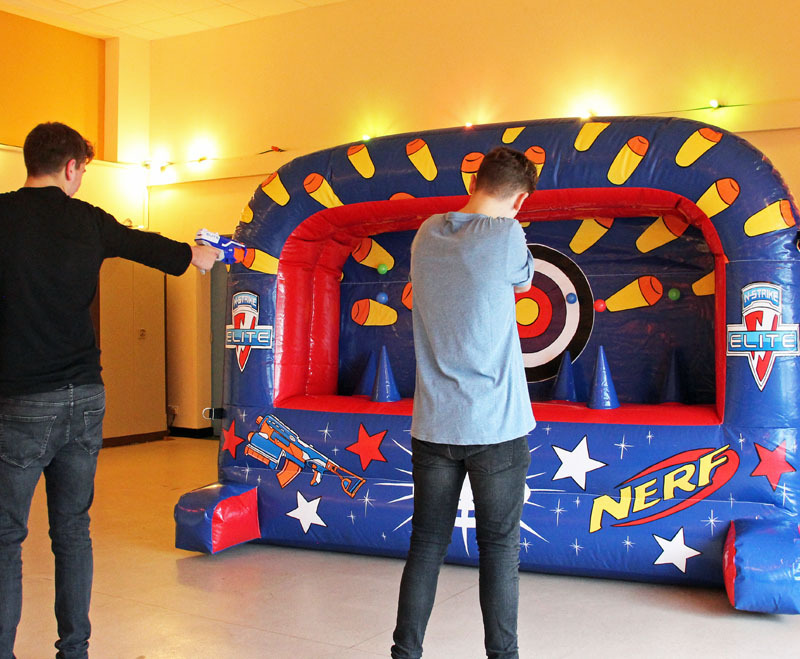 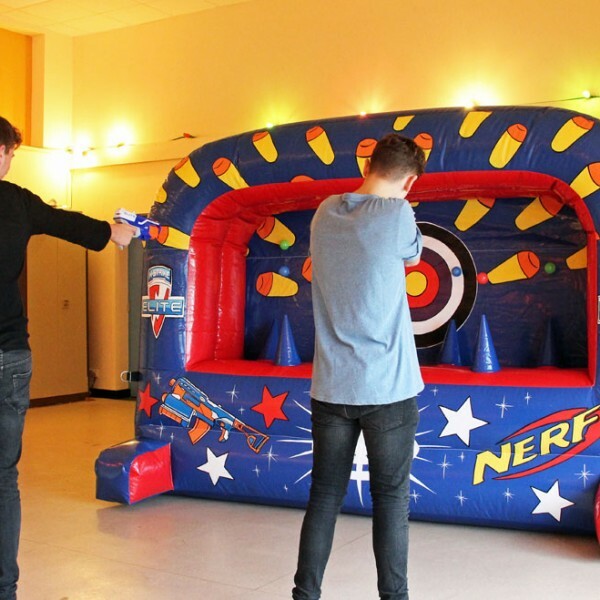 The aim is to fire the Nerf Gun’s sponge bullets at the balls and knock them off the cone. 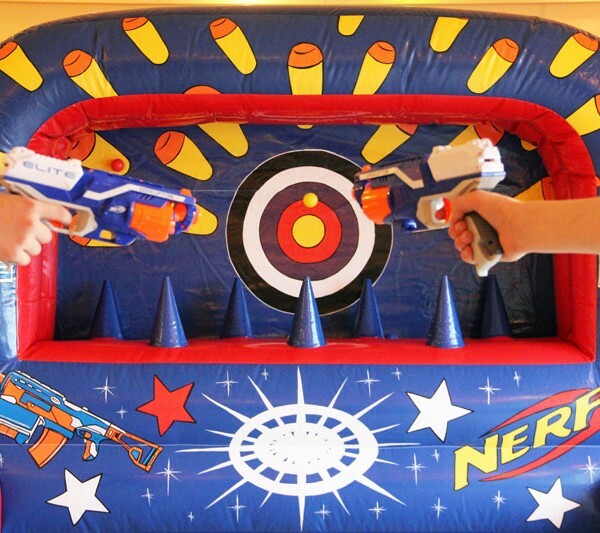 Comes with 2 x Nerf guns and 20 Nerf bullets. 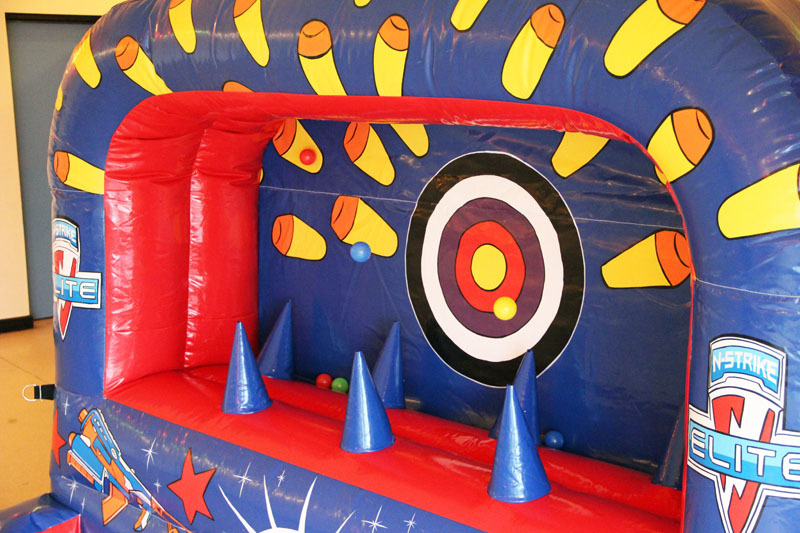 Best used indoors or in sheltered areas so the wind does not blow the balls from the cones. 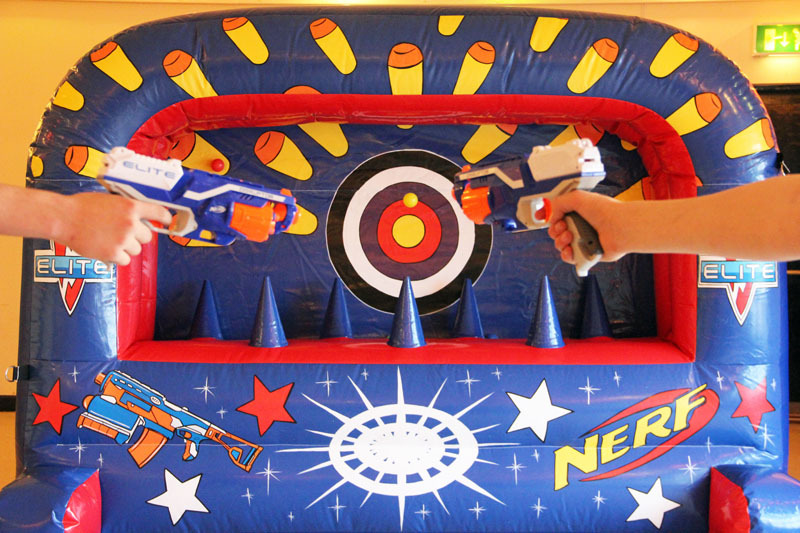 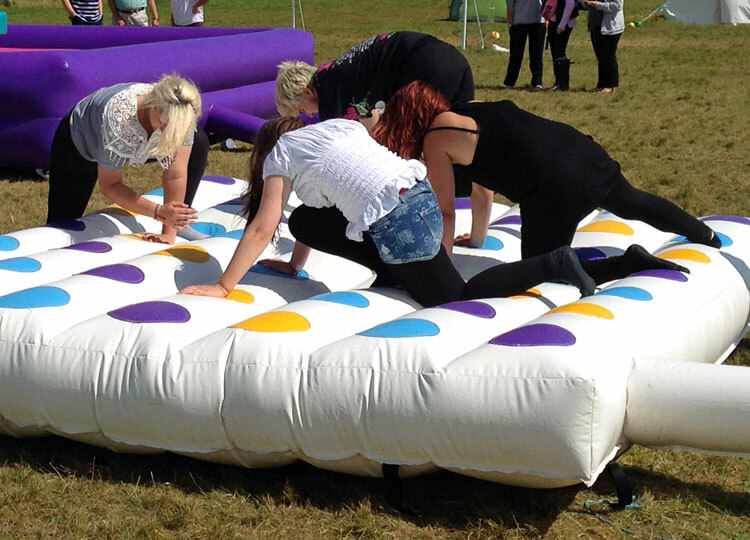 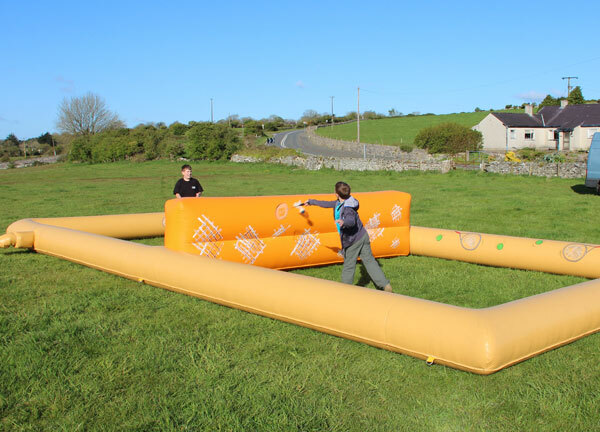 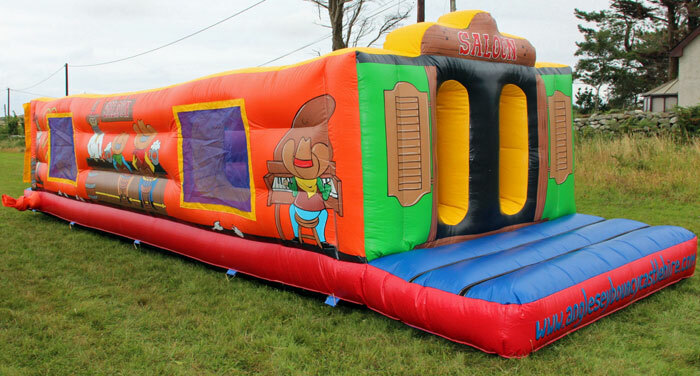 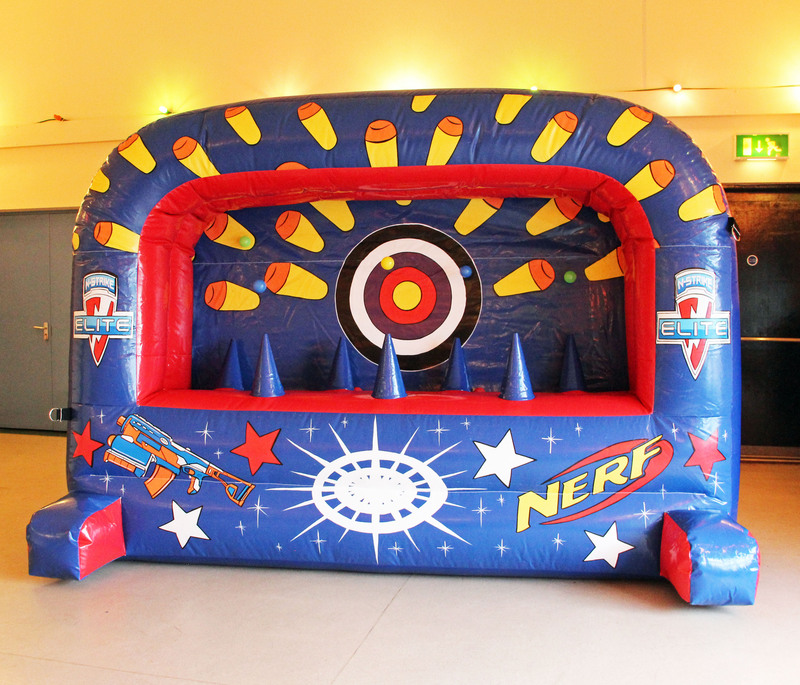 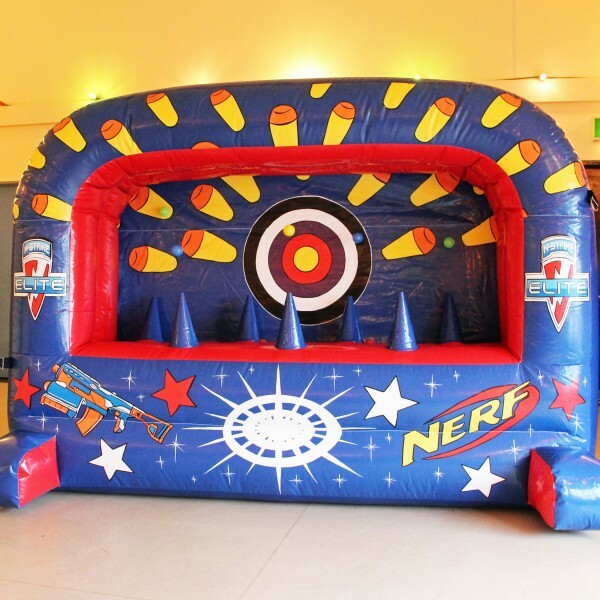 Categories: Inflatable Games, Other Games.